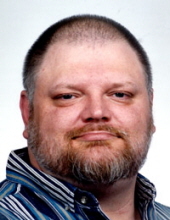 FRANKTON, IN- Preston Leonard Little, 60, Frankton, passed away unexpectedly at his residence on Tuesday, March 26, 2019. He was born on March 14, 1959 in Anderson to Preston and Marcella (Swift) Little and has lived in the Frankton area for nearly 40 years. He was a graduate of Alexandria-Monroe High School-Class of 1977. Preston was employed at Dormakaba (formerly Stanley Solutions) in Indianapolis since 2010. He enjoyed fishing, hunting, cooking and reading. Services honoring Preston’s life and legacy will take place at 2 pm on Saturday, March 30, 2019 in the Owens Funeral Home, 412 North Harrison Street, Alexandria with Warren Brown and family members participating. Interment will follow in Park Cemetery at Fairmount. Friends may call at the Owens Funeral Home after 12 Noon on Saturday prior to the services. Memorial contributions are suggested to the American Diabetes Association through the funeral home. Owens Funeral Home is honored to care for Preston and serve the Little / Dockrey families. To send flowers or a remembrance gift to the family of Preston Leonard Little, please visit our Tribute Store. "Email Address" would like to share the life celebration of Preston Leonard Little. Click on the "link" to go to share a favorite memory or leave a condolence message for the family.